Jupiter Web and Website Services is a professionally run website designing, web development, web hosting company in Thane, Mumbai offering custom web application development (PHP / ASP.net), web design, website promotion (search engine optimization) services at affordable rates. We specialize in custom PHP web development, portal web development, WordPress CMS customization, oscommerce shopping cart websites, travel industry websites, real estate and property portals, corporate and industrial sector websites. 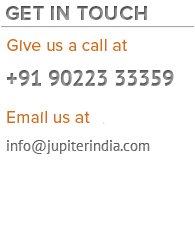 We are located in Thane, Mumbai, India and we specialize in personalized service. As per your needs Jupiter Web Services can offer you Windows or Linux Hosting with a database of your choice. We offer uptime guarantee of 99.9% and many add on applications. We offer Affordable Web Hosting for personal websites, Business Hosting for small business websites, and Professional Hosting for large enterprises. We also offer dedicated and virtual (VPS) dedicated servers as they are ideal for users/ businesses who want to upload multiple websites. We support programming languages such as PHP v5, Perl, Python and CGI ASP.net and databases MS Access MS SQL MySQL. Our domain name web hosting services ensures optimal performance of your website irrespective of what platform it is built on. Jupiter Web and Website Services specializes in offering reliable solutions for Linux web hosting, Windows web hosting, CMS web hosting, WordPress web hosting, eâ€“Commerce hosting as well as Reseller hosting, making us one of the most competent names offering web hosting in Thane, Mumbai, India.